Looking for a Drug Rehab or Alcohol Rehab Program in Nebraska? Individuals in Nebraska who have a substance abuse problem may think that all drug rehabs are the same in their state, and if they have tried rehab in the past and relapsed it may not be appealing to give rehab another shot. But all rehabs are not the same, and it is always worth another shot to see if there is a drug rehab program in the state that can make it a more productive and successful effort. But first it can be helpful to speak with a drug treatment professional, who can understand your own unique needs and help find a program that fits best with your personal situation. So take this first step and speak with a drug treatment professional in Nebraska to get the drug rehab process started as soon as possible. In Nebraska, alcohol is listed as the primary drug of choice during 7 in every 10 substance abuse treatment admissions (70.9%) in Nebraska, followed by methamphetamine (12.5%), marijuana (9.1%), and cocaine (4.7%). Alcohol is the substance of choice, and Nebraska residents in their late teens and early 20's are the most likely age group to binge drink as well as use illicit drugs. Among Nebraska high school students, males and females report similar percentages for alcohol and illicit drug use. Young adult males however are more likely than females to binge drink, to drive after drinking, to experience legal consequences from alcohol and drug use, and to be admitted into substance abuse treatment. Among Nebraska adults, Native Americans report the highest percentage of binge drinking as well as the highest death rates for chronic liver disease and alcohol-related death overall, yet alcohol is the drug of choice among all Nebraskans regardless of race or background. Of Nebraskans in alcohol treatment, 50% have an alcohol only problem but over 18% have a poly-drug abuse problem involving alcohol. Because alcohol is the primary drug of abuse in the state, and because many of the alcohol abusers also struggle with another type of addiction, it is important that alcohol treatment be as comprehensive as possible. For example, group meetings and the lesser intensity treatment options available aren't known to result in the best outcomes for individuals who have a serious alcohol or poly-drug abuse problem. However, more aggressive alcohol treatment involving a residential stay, primarily in a long term treatment facility in the state, does. There are over around 114 drug rehab programs total in Nebraska. Out of the programs available there are around 100 outpatient drug rehabs and 35 non-hospital residential facilities. There are no hospital inpatient facilities available in the state. There are 94 outpatient facilities providing regular outpatient services, and also provide intensive outpatient treatment. Only 8 of the outpatient treatment facilities in Nebraska provide day-treatment/partial hospitalization services. 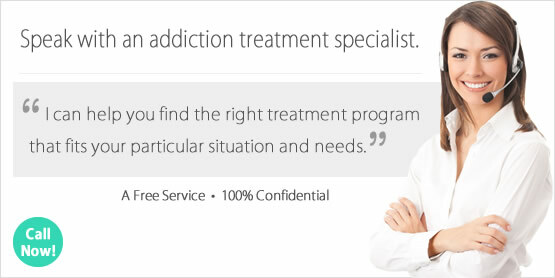 There are 5 outpatient facilities which only provide opiate maintenance services to around 600 opiate dependent clients (10% of the total clients in treatment in the state), who are administered a daily dose of prescription opiates to stop cravings and withdrawal as a solution to their problem. Because there is no inpatient treatment available in Nebraska, non-hospital residential treatment is the only other alternative. There are short term and long term residential options available, with 16 facilities providing short term 30-day treatment services and 27 providing long term treatment which is typically 60-120 days. What does Inpatient Rehab in Nebraska Involve? As discussed, inpatient treatment is not available in Nebraska. However, non-hospital residential treatment is available and this is an extremely ideal option for individuals who have a chronic drug or alcohol abuse problem. Because residential treatment is the only alternative to outpatient treatment in Nebraska, individuals who are trying to decide which one will be most beneficial for them should speak with a treatment counselor right away at a residential facility so they can fully understand the benefits such a treatment program and treatment environment has to offer. These programs result in significantly higher success rates, due to the fact that individuals aren't around the things which trigger their substance abuse and are in a drug and alcohol free environment. So clients are able to continuously progress with much lower risks associated with setbacks and relapse. As discussed earlier there are 30-day short term programs and 60-120 day long term programs. Treatment professionals can utilize both traditional and alternative treatment therapies depending on the facility chosen, and some facilities are able to help clients address any co-occurring issue such as a co-occurring mental health disorder if this exists. What does Outpatient Rehab in Nebraska Involve? Regular outpatient treatment facilities in the state involve the most minimal commitment and treatment services, and typically involves either individual or group substance abuse counselling one day per week. More intensive outpatient treatment are the same services, but more frequently, usually 3 days per week or more in some cases. The facilities in Nebraska which provide even more intensive day treatment/partial hospitalization services are able to provide more aggressive and personalized treatment, and individuals are involved in treatment on a daily basis for most of the day. These facilities are usually prepared to help individuals who also need to address a co-occurring mental health disorder or other underlying condition.